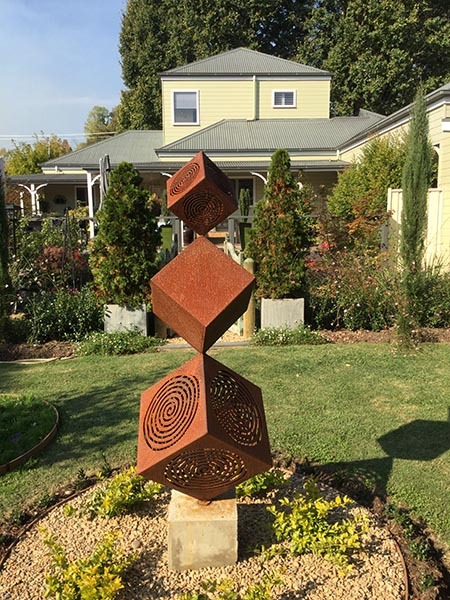 Fourteen wonderful gardens are on display. Enjoy their splendid autumn colours and be inspired by their diverse styles and designs. Some gardens are long established, others only a few years in the making. You will find a range of exotic and rare trees, ornamental plantings, plus gardens directed towards sustainable food sources. There are formal gardens, wild gardens, and farm gardens. 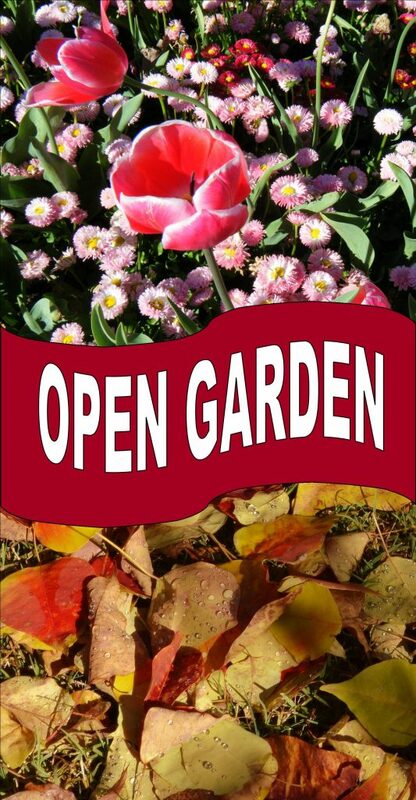 Meet the gardeners; learn about their methods, plantings and ideas. 154 Delany Avenue, Bright. View map. Three acres of landscaped gardens, rock walls, hedges, Standard Roses, Dogwoods, Maples, Mt Fuji Weeping Cherries, Catalpas, Weeping Elms & Mulberries. 13 Railway Avenue, Bright. Next to the Bright Museum. View Map. A town garden, set amongst 100-year-old Elm trees. A cottage garden with interesting garden art. The plantings include Azaleas, Camellias and Maples. 12 Alexandra Court, Bright. View Map. Entry: $4 per adult, $3 concession. Proceeds go to Kidney Health Australia. This lovely 10-year-old garden features flowing manicured lawns, that lead you through raised garden beds shaded by a variety of deciduous trees. This ever-changing garden combines native bushes, bulbs and cottage plants to provide year-round colour and interest in this peaceful garden. A small orchard, scattered fruit trees and berries, and a 4-bed rotation vegetable garden provide a supply of fresh food for family and friends. 7377 Great Alpine Road, Bright. View Map. The rustic charm of this garden has a distinct tropical feel. You will find Palms, Ferns, a dry river bed and fish pond. 438 Great Alpine Rd, Bright. View map. Come and enjoy our garden with the heritage Shaddock Trees. Listed with the National Trust, these magnificent trees are estimated to be approximately 150 years old and situated on what was historically a mining camp operated by the Chinese. These ‘citrus maxima’ are thought to have been imported from Asia and introduced by the English sea captain ‘Shaddock’. Fruit, conserves, preserves and information leaflets will be available. 414 Back Porepunkah Road, Bright. View Map. A beautiful, mature woodland garden, a variety of Arbre, lovely setting to lose yourself in. Colourful oaks, liquidambar, silver birch, azaleas, camellias and much more. Plenty of parking and seating. 307 Mount Buffalo Road, Porepunkah. View map. Entry: Gold coin per adult. Proceeds go to the Porepunkah CFA. Elisa and Colin Bertuch of Mt Buffalo Olives invite you to come on a self-guided walk through the olive grove and arboretum that they have established at the foot of Mount Buffalo. Highlights include many well-established trees – a Wollemi Pine, Bunya Pines, Forest Pansys, Oaks, Weeping Mulberries, Weeping Cherry, Maples, Ginkgoes, Ash Trees, Coastal Redwood and many more. Get your mud-maps and Species List of the trees at the Mt Buffalo Olives farm-gate shop at the top of the drive. 713 Happy Valley Road, Rosewhite. View map. The garden was first established in 1869 and has seen many changes. Original trees include Magnolia Grandiflora (1872), a grove of Elms and a Hoop Pine. Recent additions are an avenue of Red Oaks, Ginkgoes, Silver Birch, Magnolias, Manchurian Pears, Claret Ash, two vineyards and olive groves. Roses and Peonies are the stars of the cottage garden and a Camellia Sasanqua hedge in infancy. Wine and olive oil tasting and Devonshire teas are available. Tours of the Historic Homestead at 11am, 1pm & 3pm. 9 Merriang South Rd, Myrtleford. View map. The garden is about 30 years old and contains mainly natives with a small orchard and vegetable plots. Plants include Callistemon, Grevillea, Banksia, Waratah, Ferns, Kangaroo Paws and Eremophila. Several indigenous plants grow along the river. We run a nursery with heaps of native and non-native plants for sale. 708 Morses Creek Road, Wandiligong. View map. Many varieties of roses: standard, bush and weeping. Rhododendrons, beautiful Azaleas, Hydrangeas, various Conifers, Poplars, Maples, Dogwoods and many Acers. 10 Stony Creek Rd, Harrietville (4km before Harrietville). View map. Essentially a fish farm with a lot of ponds to wander around. 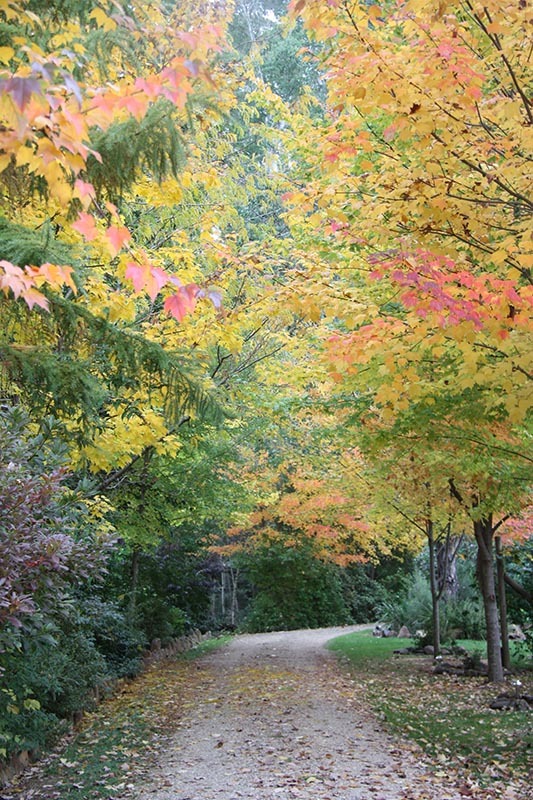 Planted with many deciduous trees, with an array of stunning autumnal colours. And of course, you are welcome to catch a fish! Fish, smoked trout, smoked salmon, delicious pâté & caviar for sale. 20 Great Alpine Road, Harrietville. View map. Lavender Hue is a charming lavender farm in an idyllic, riverside setting. A tree lined drive of Canadian Maples, Pencil Pines & Liquid Ambers welcomes you, with lavender fields on either side. Relax on the deck or patio, whilst enjoying the warm gold & ambers of our mature wisteria & ornamental grape vanes, listening to the sounds of the sparkling Ovens River. Fresh Devonshire teas, espresso coffee is available to purchase in our tearoom, food orders close at 4pm. Lavender Oil, distilled on the farm, lavender skin care products and dry lavender flowers are for sale in the shop. 56 Great Alpine Road, Harrietville. Viewmap. Entry: Gold coin per adult. Proceeds go to the Harrietville Primary School. Started from scratch about 4 years ago, our secret garden is still very much a work in progress. We started with the brick path, quickly followed by the walls creating ‘rooms’ or sections. We love the rustic look and have used corrugated iron and pine poles to add character to the environment. Two of our problems are the severe frosts in winter and the restriction of sunlight due to the large trees nearby. We appreciate visitor comments on how we can improve our small garden. Enjoy our complimentary tea, coffee and bikkies! 20 Mountain View Walk, Harrietville. View map. Entry: $5 per adult, $3 Concession. Proceeds to local community groups. Complimentary garden notes, tea/coffee & biscuits. Outdoor toilet available. 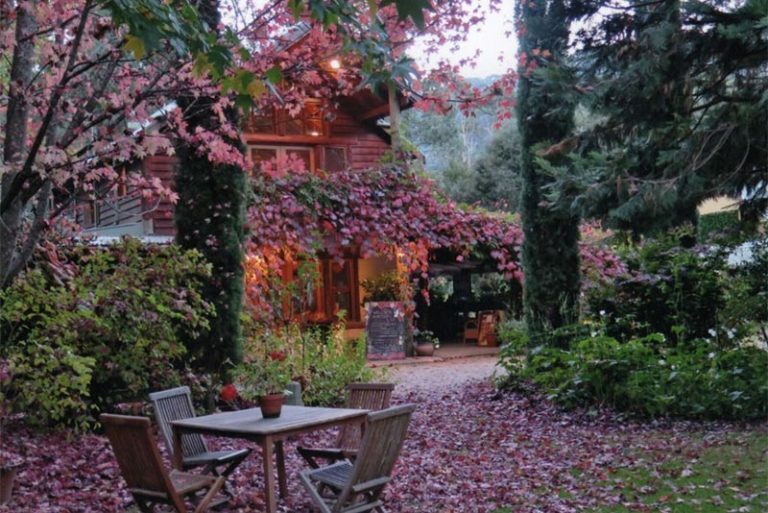 Shady Brook is a large garden set over 8 acres positioned on the Ovens River with a mountain backdrop. 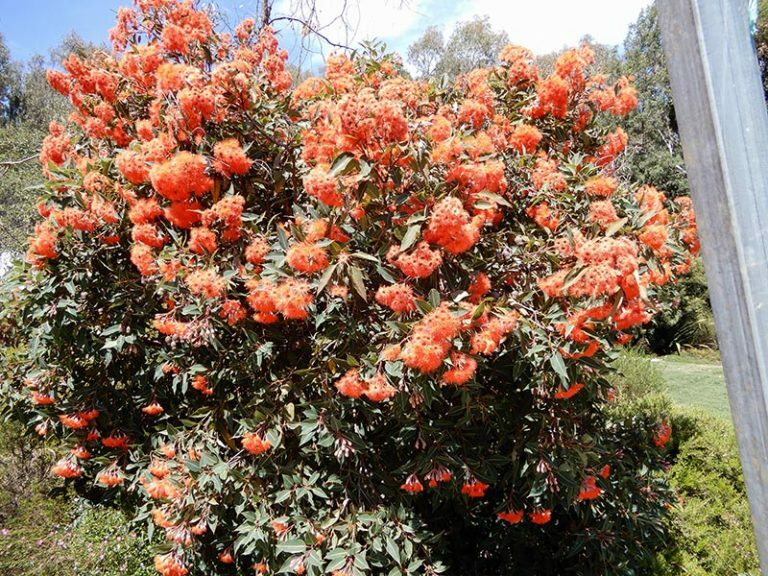 It was featured in 2018 on ABC Gardening and has large variety of trees and shrubs, its autumn colour is spectacular, set amongst Rhododendrons, Camellias, and a large and interesting variety of Conifers. Large plantings of Hydrangeas, Roses and Dahlias add a fantastic array of colour. There are many little walks and hidden gardens to explore and to see it all you need to allow at least an hour or more. Plenty of areas to sit and enjoy, you are welcome to explore Shady Brook. Buses and large groups by appointment, garden tours are available.